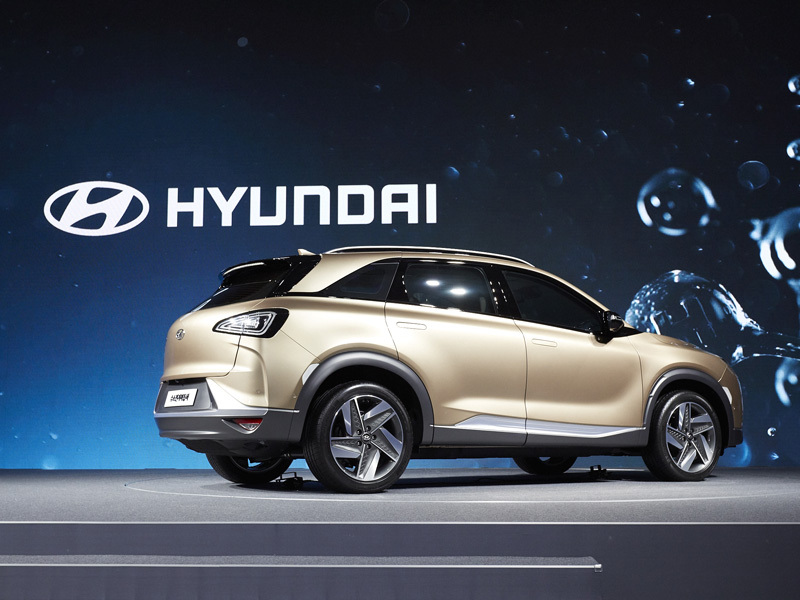 Ahead of its official launch early in 2018, Hyundai has provided an early glimpse of the next generation hydrogen-powered SUV and revealed more information about future plans to launch 31 “eco” vehicles by 2020. 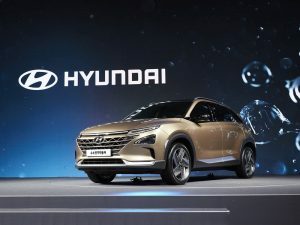 The car is destined to replace the ix35 FCV, which has served as Hyundai’s test bed for future hydrogen-powered vehicles since 2013. 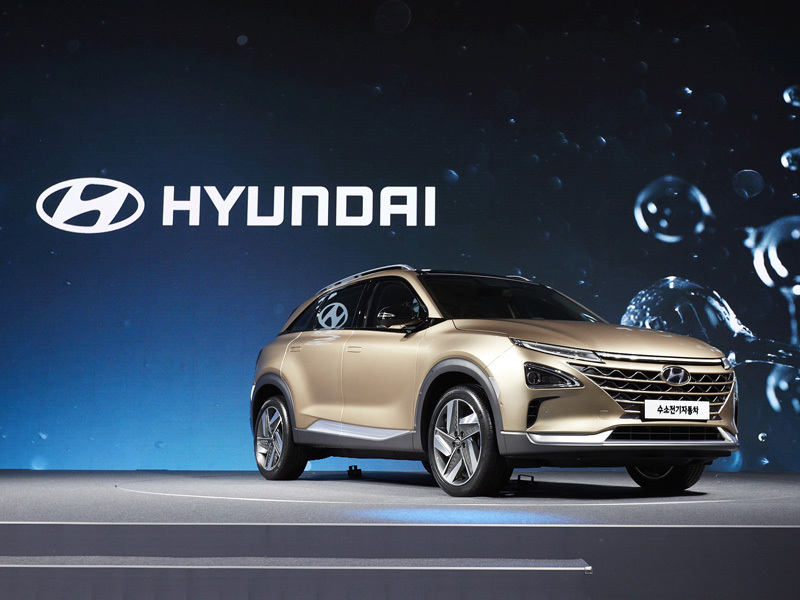 The pre-production as yet unnamed car was shown off at a special preview event in Seoul, South Korea and represents the company’s fourth generation of hydrogen fuel cell technology. The car is an evolution of both the ix35 FCV and FE Concept shown at the 2017 Geneva Auto Show. Hyundai says the new fuel cell system makes improvements on the efficiency and tank density storage in particular, over the out-going ix35 FCV. The company says the new hydrogen SUV has an efficiency level of 60%, compared to the ix35’s 55.3%. With enhanced system efficiency, the new model targets a driving range of 500 miles (800 km) on a single charge – based on NEDC standards. Performance has been enhanced over the previous model too, with 20% more power at maximum output, providing 160 Bhp (163 PS). The fuel cell SUV improves cold start capability too, which is traditionally a stumbling block of fuel cells due to the risk of damage from freezing water in the fuel cell plates. Hyundai say the new fuel cell architecture allows it to be started at temperatures as low as -30ºC (22ºF). Crucially, Hyundai say this is not at the expense of durability. Hyundai has changed the way hydrogen is stored in the new car with three equal-size tanks as opposed to two different size tanks in the ix35 FCV. The new tanks offer, “world-class tank gravimetric capacity (hydrogen storage mass per tank weight)”, the company says. This has been achieved by alterations to the plastic liner configuration and layering pattern, which reduces the tank thickness. The new vehicle is designed to be mass-produced and will feature Hyundai’s array of driver assistance technologies. Details of these new features will be disclosed in January at the 2018 CES, along with the model name. 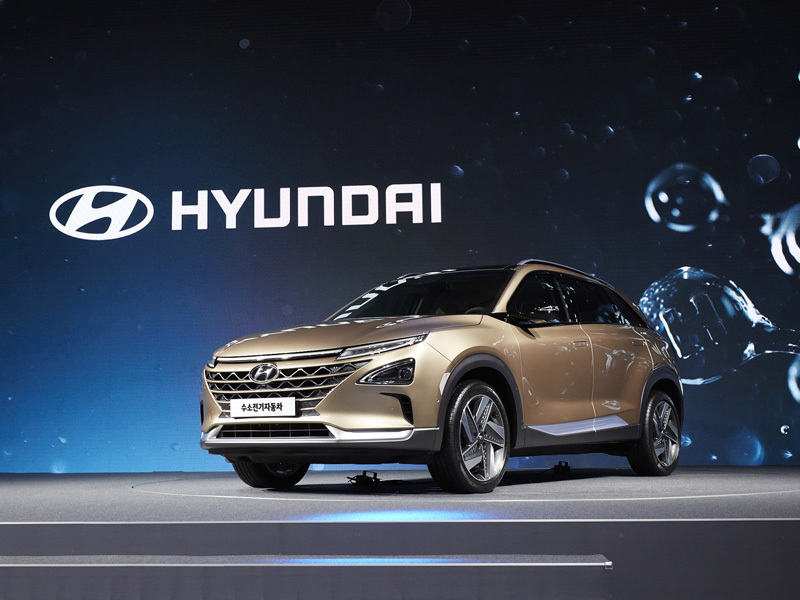 The new hydrogen fuel cell SUV is slated to accelerate development of Hyundai’s next-generation of low emission vehicles, which the company says will bring them in-line with their goal to introduce 31 “eco-friendly” models (Hyundai & Kia combined) to global markets by 2020.